This very fine and interesting, 12-story building was erected in 1910 and converted to a cooperative in 1982. 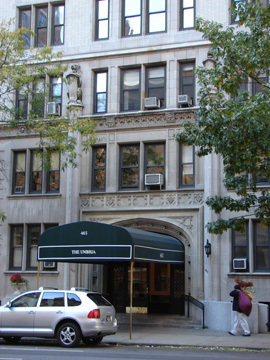 The building has 43 apartments. 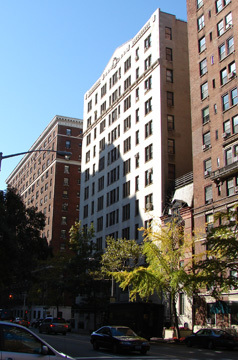 It was built by Harry Schiff and designed by D. Everett Waid, who would more than two decades later collaborate with Harvey Wiley Corbett on the massive and very impressive Metropolitan Life Insurance Company North Building on Madison Avenue between 24th and 25th Streets. 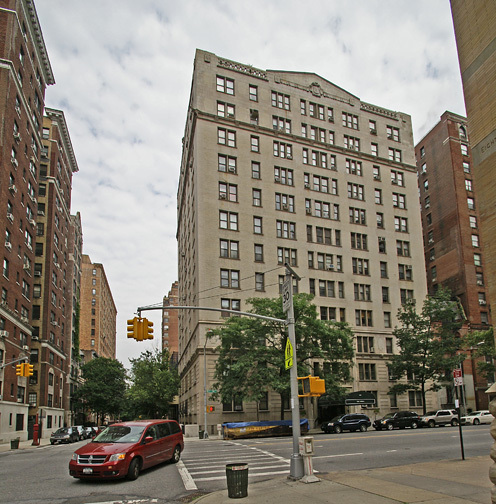 The white-brick building has an Italian Renaissance palazzo-style façade with an interestingly styled, two-story limestone base and a broad, landscaped, three-step-up entrance with fine wrought iron doors. 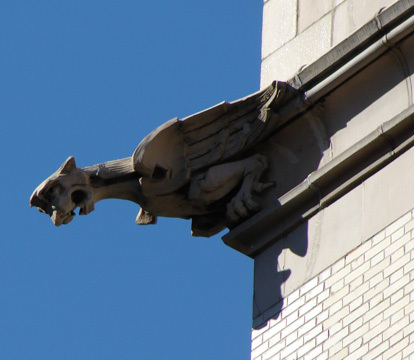 The building has a concierge and a great gargoyle at its corner. 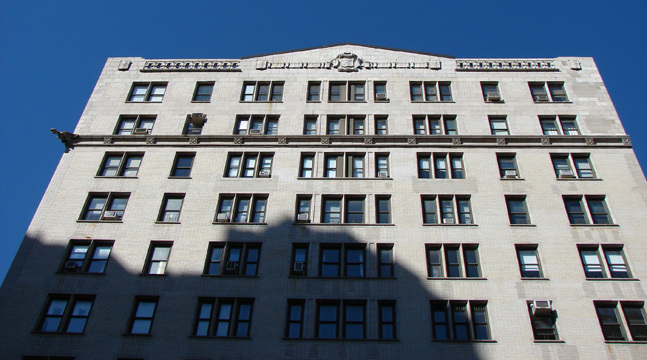 It has consistent fenestration and permits protruding air-conditioners and is missing a decorative balcony at the fifth story although the scar is not very prominent. Instead of a cornice, the building, which is across the avenue from an attractive school, has an unusual scroll and bump roofline. 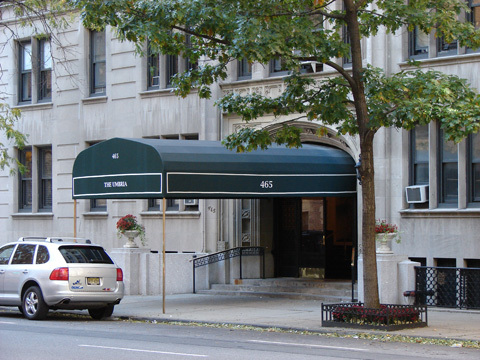 This neighborhood offers convenient public transportation at 86th Street and excellent shopping as well as many interesting restaurants. Riverside Park is one block away. 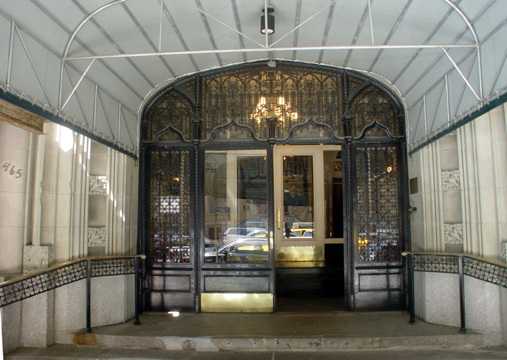 It has no garage and no roofdeck but interesting grillwork and a concierge.